A tow truck driver helped save a man in a wheelchair who was on the side of the Mass. Pike in the Prudential Tunnel. 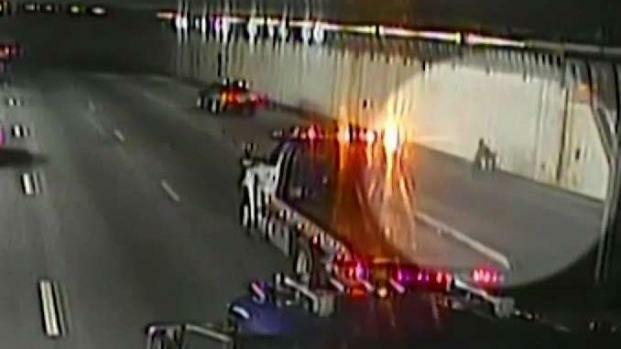 A tow truck driver is being hailed for protecting a man in a wheelchair who was on the side of the Prudential Tunnel on the Massachusetts Turnpike in Boston as they waited for first responders to arrive at the scene. State police said they received calls Tuesday morning from several drivers reporting a man in a wheelchair on the westbound side of the tunnel at the bottom of the Clarendon Street on-ramp going onto the Massachusetts Turnpike. 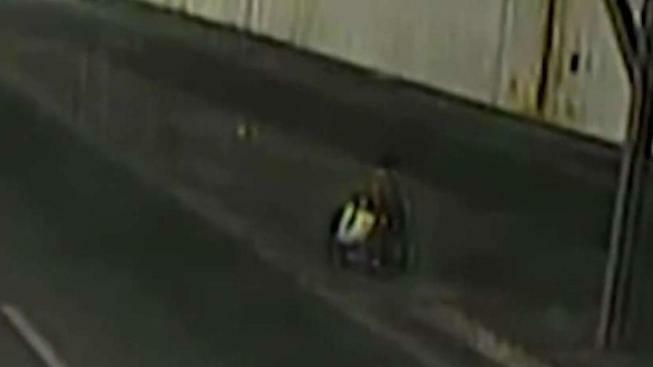 The man in the wheelchair, identified only as a 56-year-old Boston man, was in the right lane and up along the tunnel's right wall, drivers told state police. They said the wheelchair was not motorized. When troopers arrived at the scene, they found that AAA tow truck driver Waylon Mills had stopped his vehicle and put on his truck's yellow lights in an effort to shield the man in the wheelchair from oncoming traffic. 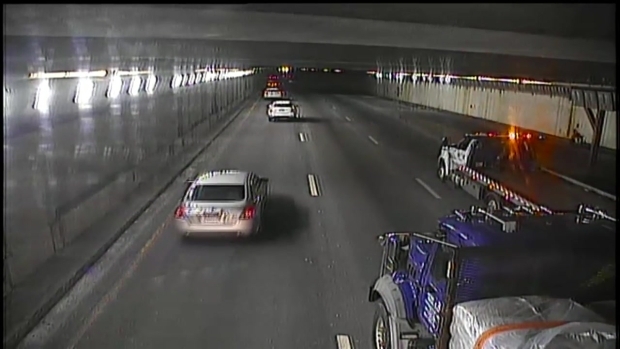 A tow truck driver is being credited with helping to shield a man in a wheelchair from traffic Tuesday morning after he somehow ended up inside the Prudential Tunnel on the Massachusetts Turnpike in Boston. "I was like, 'it's definitely not right,'" recalled Mills. "So I said, 'this person is going to get hurt. Let me just toss my lights on and wait.'" Mills had caught up to the man at the Clarendon Street on ramp, but it appears as though he may have hopped onto the turnpike two blocks earlier at Arlington Street. "It sounds ridiculous. There's no need for anybody other than cars and trucks to go on the Pike," said Mills. Paramedics came to the scene and took the man in the wheelchair, who did not have any apparent injuries, to Tufts Medical Center to be evaluated. In recent years, bikes have been spotted on the city's major highways as well. Resident Lotti Baird uses a wheelchair to get around and said the man on the highway may have been confused. "It wouldn't have gone good for me. I have a hard time getting around as it is," Baird said. It's still unclear how or why he ended up on the turnpike but police said they are thankful for the public's help in protecting the man. "We are grateful to the motorists who called to report the situation and to the tow driver who took steps to protect the man until first responders could arrive," a state police spokesperson said. Police also said they decided not to cite the man in the wheelchair even though they could have.